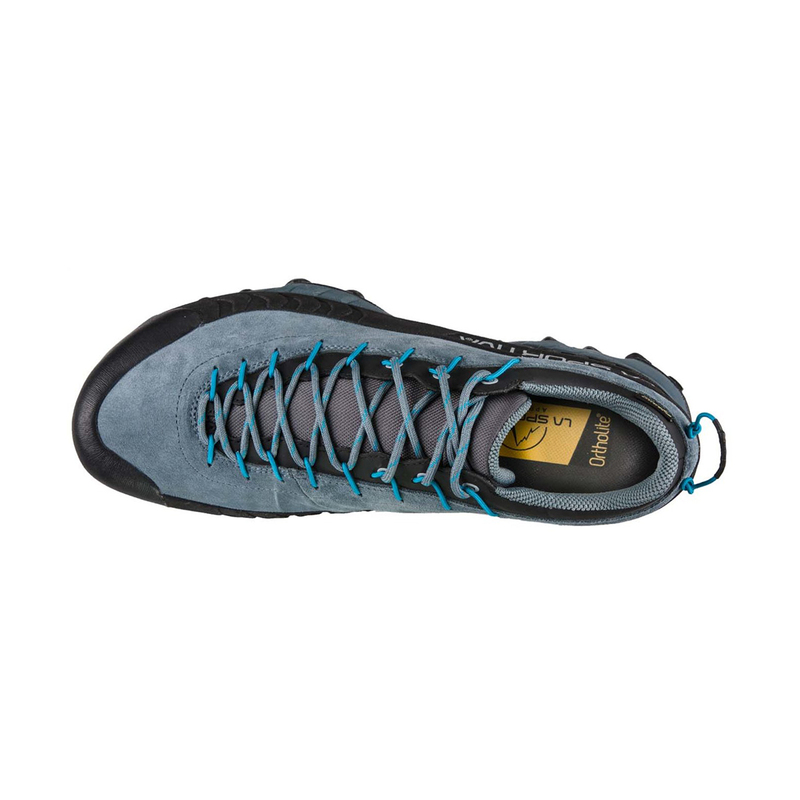 The TX4 GTX is the most robust and stable of La Sportiva’s Traverse X range; featuring a sturdy suede upper with 1.5mm TPU Techlite protection around the sides, as well as a Gore-Tex Extended Comfort liner, it’s ideal for technical approaches and scrambling when the weather is less than favourable. Designed to provide optimal amounts of support, comfort and protection, here is a shoe that’s jam-packed with features to make your approach experience more enjoyable, while still retaining a light weight. 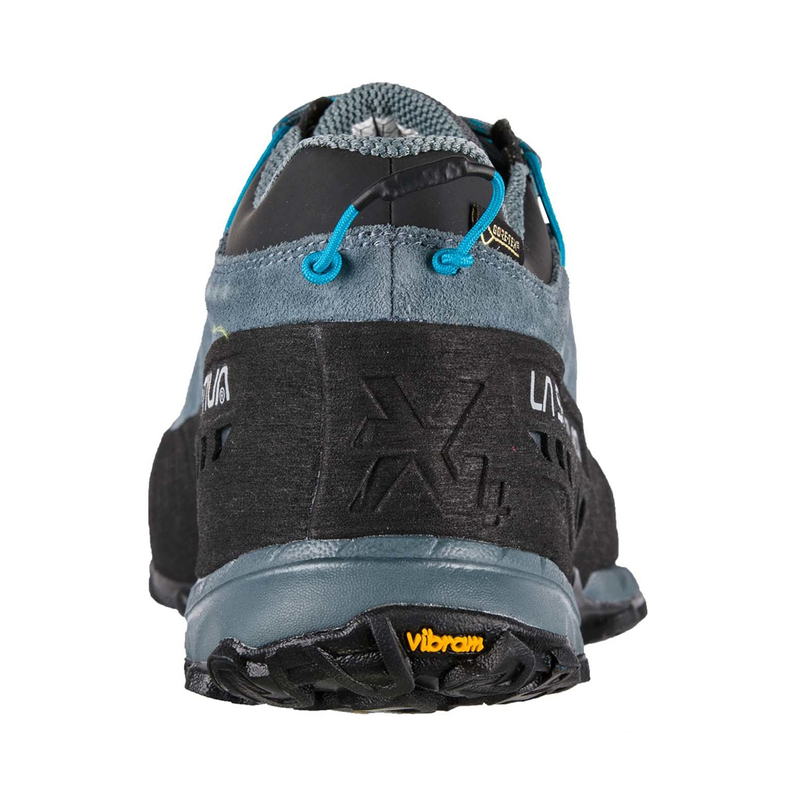 In particular, the Vibram Megagrip sole with the innovative Impact Brake System sticks to any surface, be it dusty trail or wet rock, and is designed to be just as comfortable going uphill as it is coming down. And it doesn’t just stop there: the rubber toe cap and protective edges allow you to climb like you’re wearing your rock shoes (well, almost) so you can boss through the technical sections and get to where you want to go. 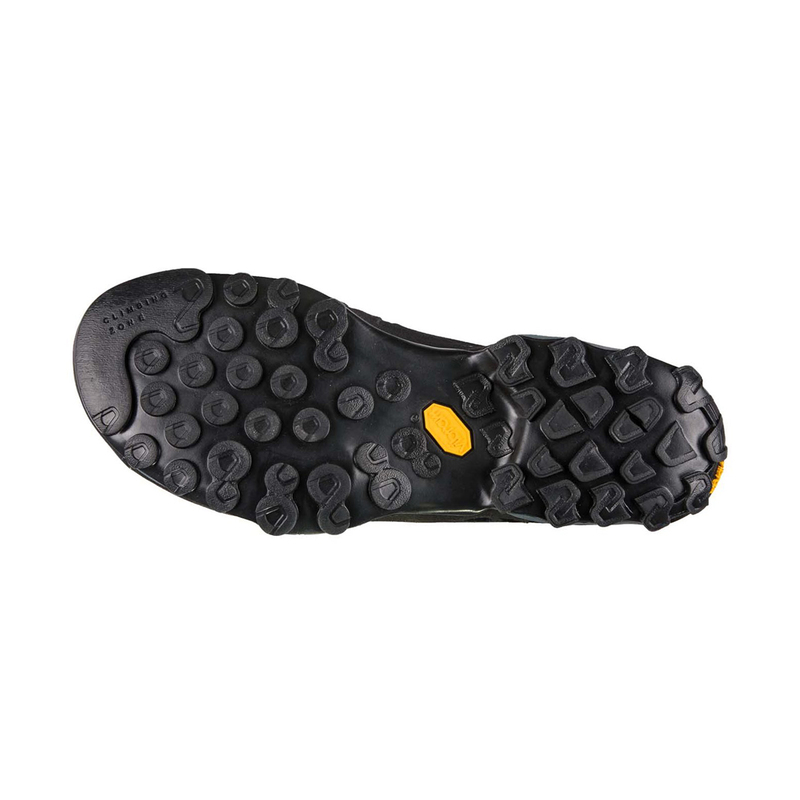 The Vibram Megagrip sole was developed for use on slippery surfaces in all weathers – wet or dry. Vibram is one of the world’s most well-known producers of shoe rubber and as a result, Megagrip is not only incredibly grippy over a range of surfaces, it’s super durable, making it the ultimate sole for demanding activities such as hiking, trekking and backpacking. 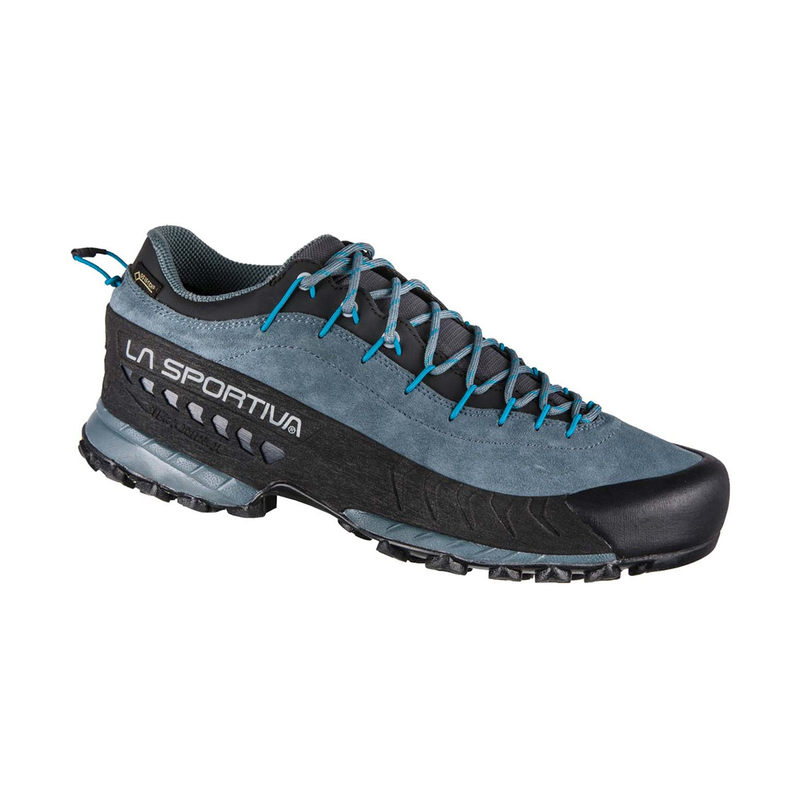 La Sportiva’s innovative Impact Brake System is a proprietary technology in outsole design where the lugs are oriented in opposing slanted directions. This opposition increases braking power by an average of 20% and decreases impact forces by an average of 20% so going downhill is just as comfortable as going up. GORE’s extra breathable boot protection designed for all-day comfort in warmer conditions or during higher activity levels. Durably waterproof with optimised breathability, this option is the ideal choice for keeping feet cool and dry during aerobic exercise. Very well built, comfortable, with a good grip. It is a warm shoe maybe even to warm for hot days. 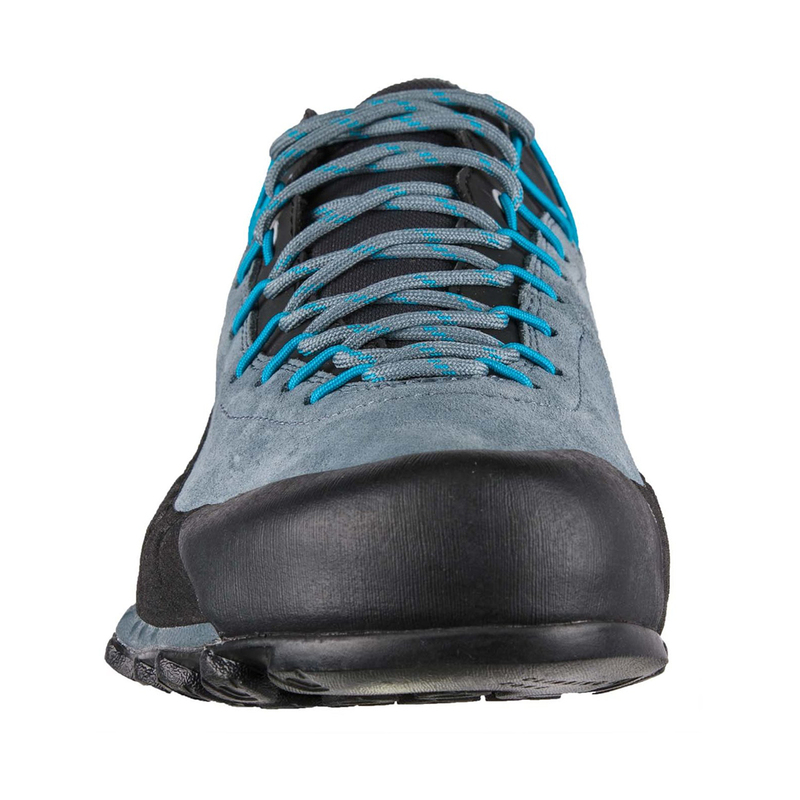 It is great for long walks with heavy backpack, but when it comes to technical rocky terrain the shoe twists around the foot because of the wide, roomy toe box. overall it is a nice shoe.